Click here to go to the contact page and send Paddy an email. The River Tees falls in a fury at Cauldron Snout, below the Cow Green Reservoir in Upper Teesdale. 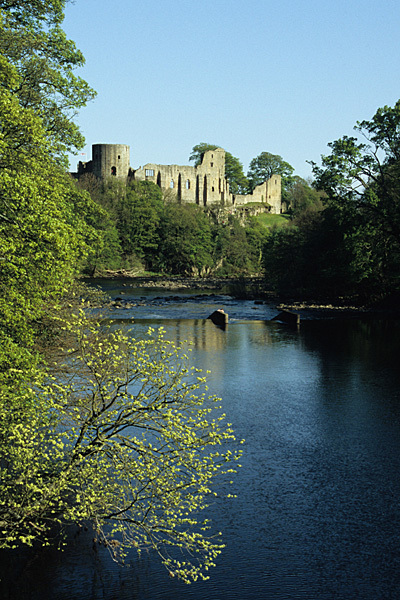 Looking downstream along the River Tees towards the ruins of Barnard Castle. The view from the Bridle Bridge spanning the River Tees below the little hamlet of Girsby. Martin Collins wrote the original Teesdale Way guidebook, but was unable to update it. 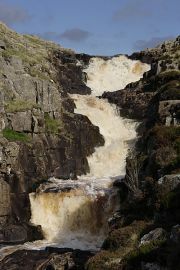 Taking on the task one year, the route was checked in two parts, with Upper Teesdale explored in the winter, and the River Tees later followed downstream during the spring. 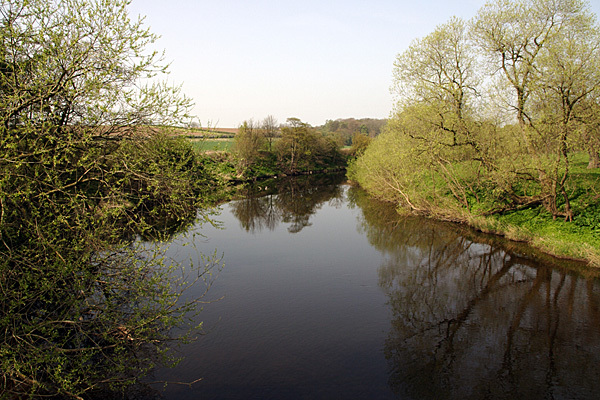 The Teesdale Way essentially follows the River Tees, but as the Tees has its origins in a high, bleak and remote part of the North Pennines, a gentler starting point is provided from Dufton. While the route is presented as a long-distance walk taking just over a week, the book also contains ten circular walks based on the route and the river. The updated guidebook takes note of any changes to the route and its facilities, is published in full colour, with plenty of photographs, while the route is highlighted on OS Landranger mapping from start to finish. Walks in Teesdale also feature in the Cicerone guidebooks to the North Pennines and County Durham.